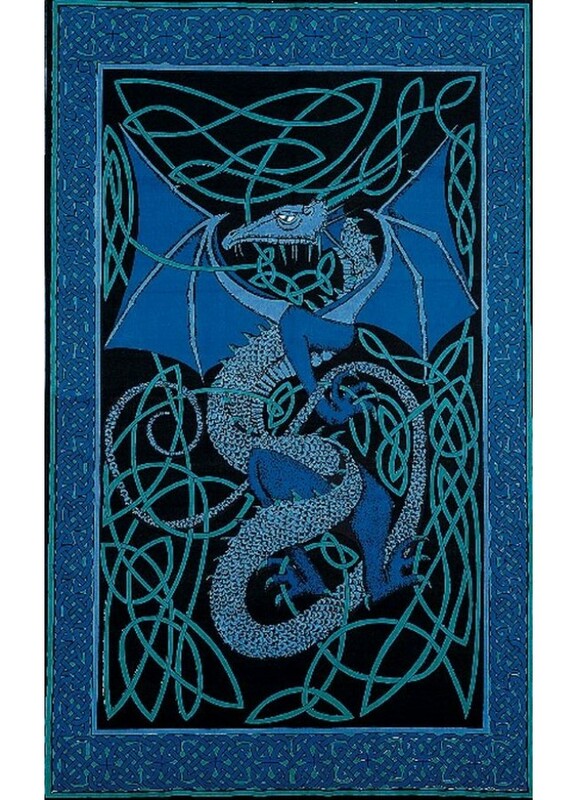 This stunning tapestry, tablecloth or bedspread features a Celtic Dragon in shades of blue with a border of Celtic Knots. Hand loomed 100% cotton fabric is machine washable and gorgeous! Made in India using vegetable dyes, the twin size tapestry is 70 x 104 inches. 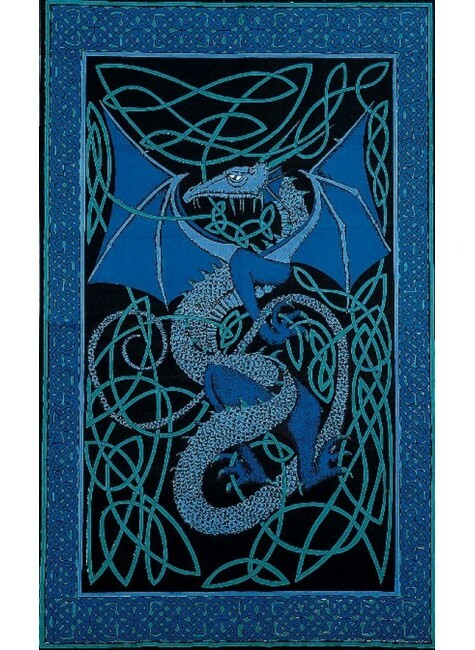 Stunning tapestry can be hung on the wall (great to add color to dorms! ), used as an altar or table cloth, as a light blanket or duvet, or even as a rug (we suggest attaching non-slip rug backing). Item Number: IA-SS074-18 | Approximate Size (Inches): 70.00 wide x 0.00 deep x 104.00 high | Approximate Shipping Weight: 1.00 lbs. Hand loomed 100% cotton fabric is machine washable and gorgeous! Made in In..